China promises wealth and prosperity to Africa, but there’s increasing scrutiny of the cost of this type of development. Li Keqiang’s four nation visit to Africa in early May, the first since he became Premier last year, was kept off the front pages by the continuing unrest in Ukraine and the putsch by the Constitutional Court in Thailand. These issues are serious, but in many ways the story of China in Africa will almost certainly have a longer and deeper impact on the world, and deserves far more attention. 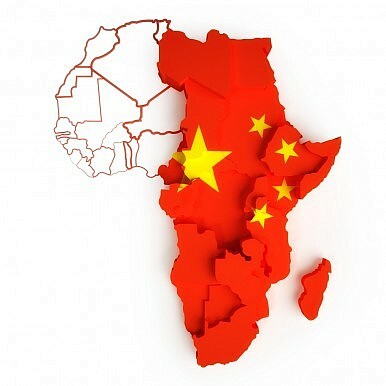 The Chinese government is probably glad that their interests in the 54 nations of Africa are regarded as an international sideshow, far away from the main action. As Howard French, the American journalist who has spent time in both China and Africa, attests in his excellent and vivid new book China’s Second Continent, as a rising power, China surveys a world where the main alliances and control of resources are largely working against it. But Africa, with its vast infrastructure and development needs and its unexploited minerals and energy sources, is fallow ground, and the competition here is much weaker. When he addressed the Organization of the African Union on May 8, Li declared that China was no colonizer, despite what its critics were saying. As a leader of the developing world’s most dazzling growth success story, Li’s words would have had clear resonance amongst a community of nations with fresh and traumatizing memories of mostly European larceny, abuse, and greed. Many Africans look at a more prominent, confident China emboldened by its wealth and think that they now have the chance to follow in its footsteps, getting the same status and attention. Li’s words spoke directly to their aspirations. As always, the reality on the ground is more complex. French trenchantly observes that, for the last two centuries, Europeans have often thought of Africa as a field of influence, a zone in which their interests unfolded. According to this mindset, on the whole Africans were seen as passive observers or actors to be manipulated. China uses none of the unforgivable brutality of that era of colonial exploitation, but nor does it move much beyond the “zone of influence” mindset. China is seeking to further its own economic interests by recruiting specific elites, paying for large symbolic aid projects, and putting in infrastructure which is sometimes of questionable sustainability. French’s account of the paternal, superior attitude of Chinese business people he meets on his travels across a number of countries in Africa shows this is too consistent to be accidental. Chinese speak of Africans as indolent, unable to “eat bitterness,” and lacking in modernization. Interestingly, this is the dominant discourse one often finds urban Han Chinese adopt about ethnic minorities within the People’s Republic. Despite this, Chinese have moved into the business worlds across Africa, and there is now a generation of younger Chinese with a deeper and more complex understanding of Africa. The clumsy diplomacy of the early 2000s, when China got a bad reputation over its claimed involvement in arms sales in Zimbabwe and Sudan, is less likely to occur now. But there is a crucial dimension lacking in Premier Li’s public statements and in the overall language of Chinese-style development heard across the world, and this lack presages big future problems. Chinese entrepreneurs and diplomats in Africa can make a powerful case for how their investments and trade are lifting people from poverty and making a difference to people’s lives in some of the poorest places in the world. We have to appreciate and recognize the truth in this. But what sort of lifestyles and values will people have after economic development has made them wealthier? On this topic, the vision becomes blurred. Just like in China itself, the vision of the Chinese Party state of what constitutes a good life, beyond being immersed in material goods, is at best vague, at worst non-existent. This makes one suspect that there might be no real vision. Like the super highways French describes that abruptly disintegrate into near impassable tracks after leaving African cities, the Chinese modern vision starts to fade when discussion shifts from getting wealthier to the life after that. More worrying still is the uniformity in the Chinese worldview, a sort of intolerance and dislike of diversity shown in the way in which so many Chinese working in Africa maintain their distance from the cultures they live among. In Africa, where Li promised $12 billion in aid funding in early May, we see the cutting edge where the modern Chinese state reaches out into the world and starts to see its values deficit challenged. Unlike in China, however, it is not so easy to suppress dissent and criticism on the African continent. And that is why China’s role in Africa matters much more than we might think. As French shows, Africa allows us not only to see the face China shows to the world, but also to peer a little deeper into China’s soul. The tone of Li's trip to Africa was carefully designed to hit back at accusations China is exploiting the continent.